If you feel the image viewing app on your phone is cripples in functionality, here's a brilliant alternative.Even if you like the default image that came pre-installed on your phone,you'll switch over to this app after playing around it for few minutes. 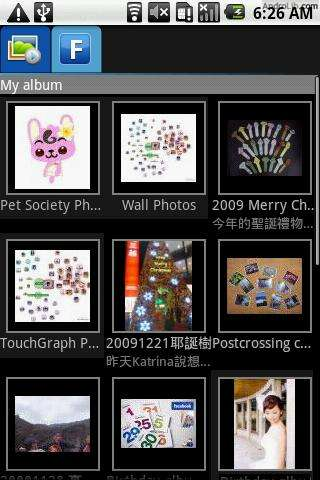 By default,PiQture displays thumbnails of folders containing photos and videos on your phone's memory card. 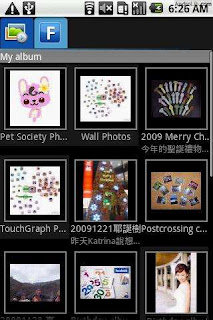 On tapping a photo contained in a folder,it gets displayed in full screen in full screen with a tiny film strip at the bottom,using which you can view other photos in the folder. The most interesting feature of PiQture is that it supports viewing photos from Flickr,Picasa,Photobucket and Facebook. The app is quick and very light on resources.Highly recommended!